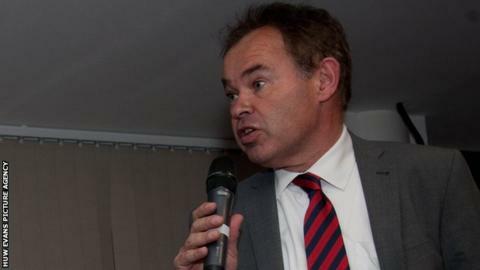 Newport County chief executive Dave Boddy will leave the League Two club at the end of January after two years at the helm. Boddy, who is leaving Rodney Parade to pursue a new business venture, became the club's first chief executive in January 2013. The Exiles were promoted back to the Football League in May 2013 after a 25-year wait. "It's been a fantastic journey and I've loved every minute of it," said Boddy. "Off the field the club's admin and structure has had to grow very quickly and we have achieved so much in that time. "Newport County AFC is a great club and to me it's all about the supporters who have been magnificent all the way through. "They never ceased to amaze me with their passion, belief and support of the team." Newport, who travel to Cambridge on Saturday, currently occupy the third automatic promotion place in League Two.